My friend Mia has been making soap for years. I met her when I was still shopping at the Mommy Mundo Expo Mom events, just after Gelli was born. She had the cutest little suitcase set-up with her beautiful handmade Castile soaps that were not only pretty, but also perfect for sensitive skin. In fact, that is why this momma decided to start researching about Castile soaps in the first place. Her little, was sensitive to pretty much every soap that Mia used on her. Through her research, she learned that Castile Soap was safe to use on even the newest of newborn baby skin. 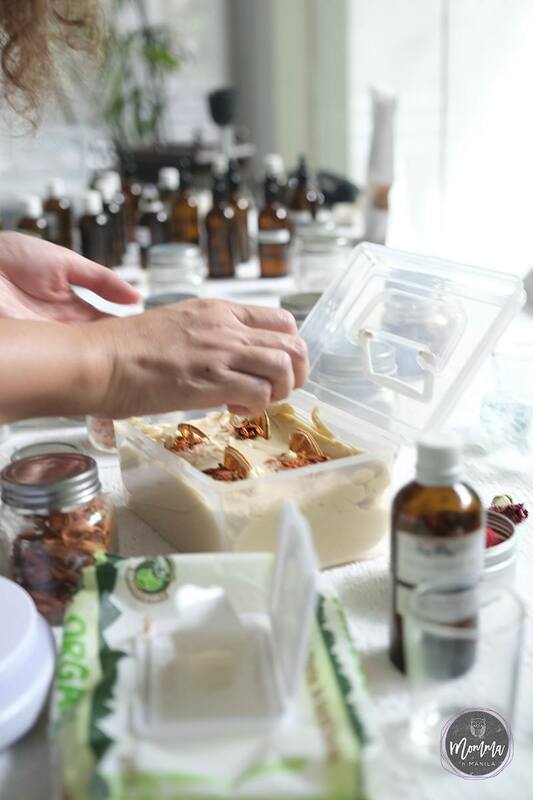 Through trial and error, and the love of a mother, Mia built her soap and skin care line by offering what she was doing for her own baby girl to other mommas who were in the same boat. Entrepreneur that she is, she decided to started selling her products online and in the mommy community. Mia is one multi-faceted Life and South Mommas who all have their own businesses, and I am blessed to call them my friends. But Mia is a lot like me. She does more than one thing. She used to curate art shows with her sister, she takes on clients who need help marketing their products, she holds trunk shows featuring proudly Filipino products that are both functional and pretty to look at, she raises her kiddos and would help manage her husband, Raymond’s busy concert schedule on occasion. 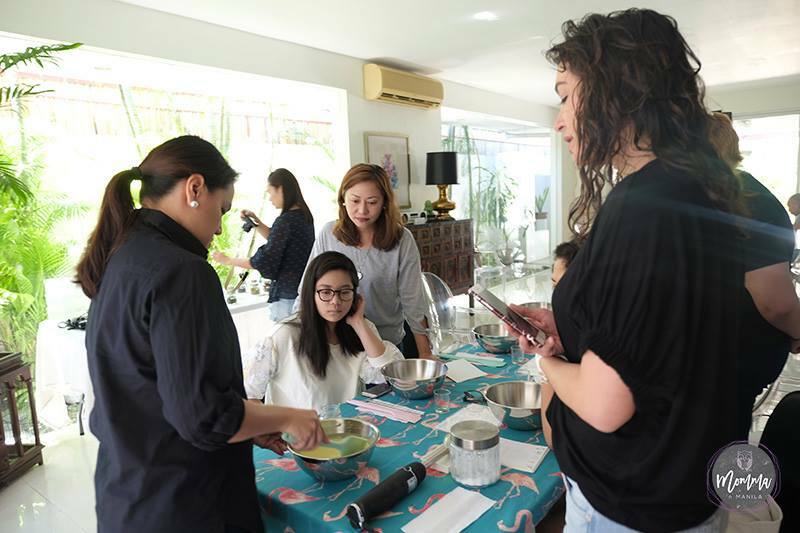 Now, she has been offering classes on how to make these beautiful olive oil based soaps in different locations all over the metro. 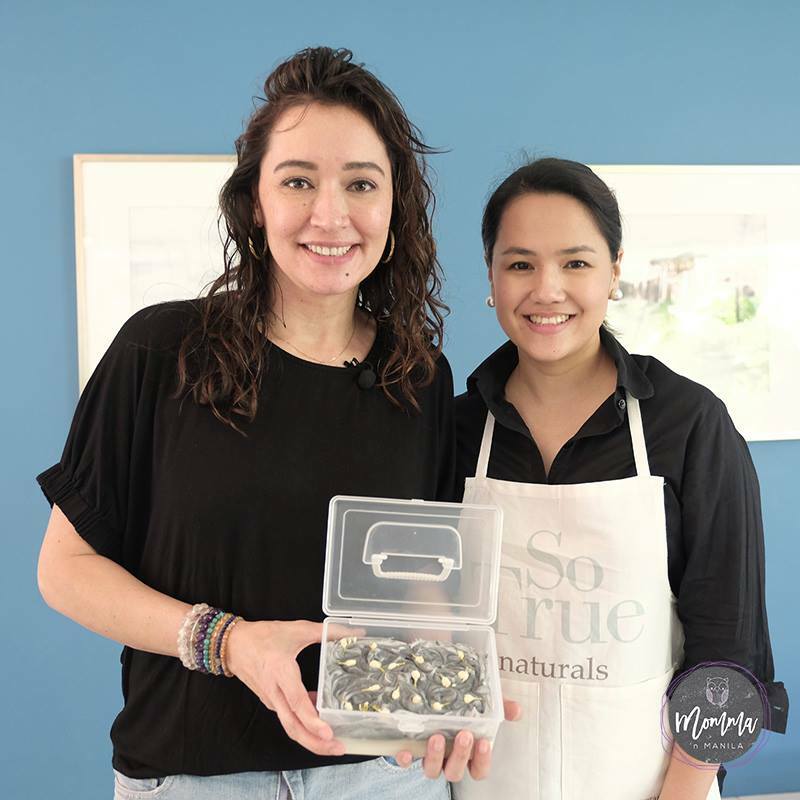 She has empowered many women to explore the art of soap making and dare I say, inspired others to start gifting and selling their products to mommas who need safe mild soaps as well. 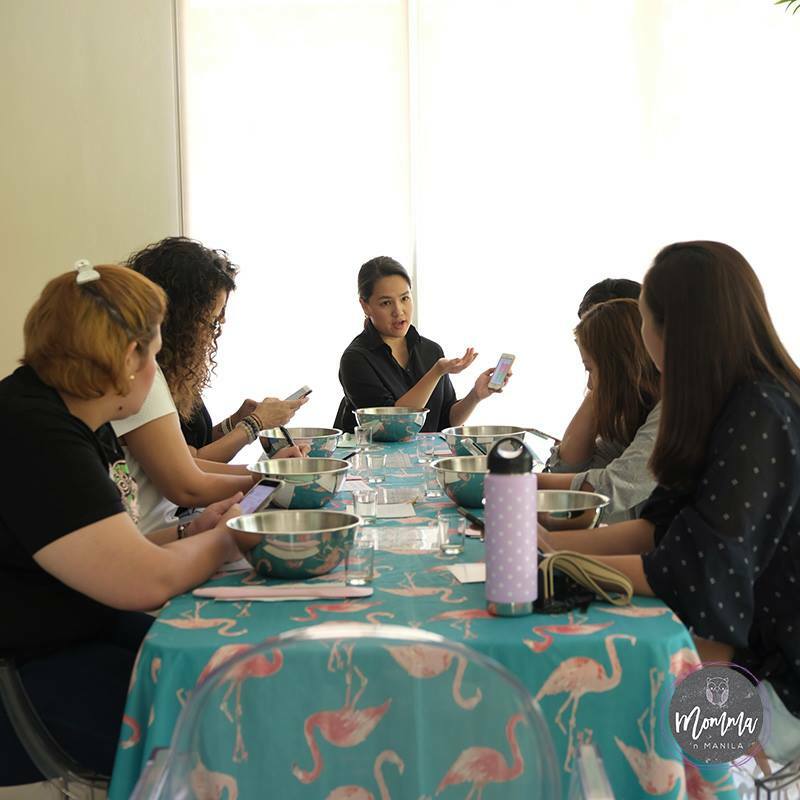 In this blog post, I am excited to share what I learned through an intimate class in Alabang with some other ladies who were also interested in learning more about soap. This includes olive oil that you can cook with. Essential oils that are of the highest grade. Dried herbs, fruits and teas that you can drink/eat as well. Lye is no joke to make soap with. Use gloves and safety goggles when handling this ingredient. Wash hands quickly if you get it on your skin. Do not make soap when your kids are running around the area. There is a reason why Mia has thousands of hours in R & D behind her. 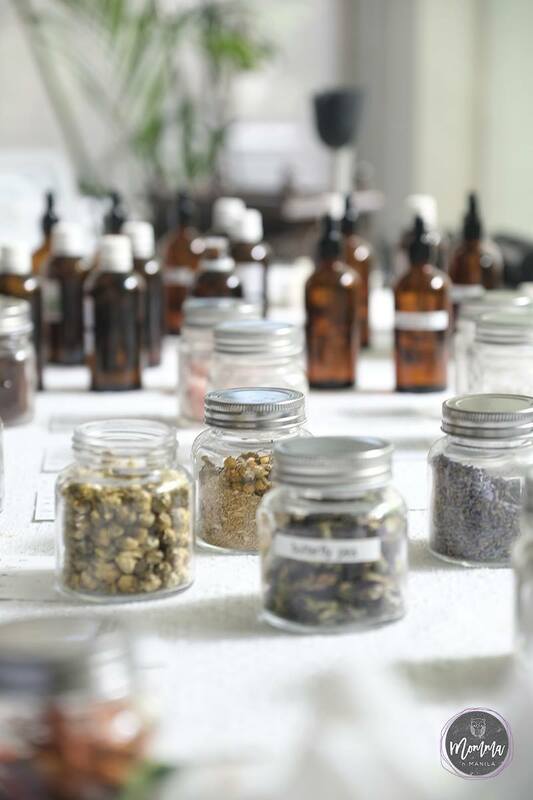 She shared that sometimes even if you are exact, things may go awry simply because it’s a different essential oil. Remember: in using the LYE, you are causing a chemical reaction that will lead to beautiful soap…but that’s it…IT’S SCIENCE. One thing you can use to make sure that you are doing it right (to a hundredth of a degree) is use any of the soap making apps that are available out there. It’s easy. Simple. And what you need in the science of making soap. 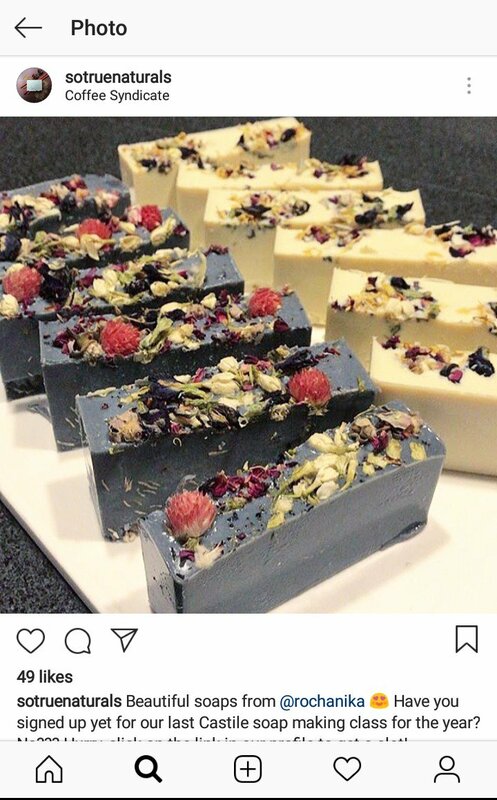 When I saw how Mia’s assistant made some of the new soaps for her Christmas box sets, I was immediately inspired because it made me think of cake. YES. I kid you not. I thought of cake when I saw small rosebuds and dried orange slices skillfully embedded in the beautifully colored soaps that she shared with us at the end of our workshop. Mia is a master of many things. I like having friends who make me better. If making your own soap doesn’t float your boat, click here to see the Christmas Catalog, so you can get your orders in asap! I used Castile soap when I was young. good info in this post. Thank you for sharing.